The Domestic Imperial Train of Nicholas II (there was also an Imperial train exclusively for international travel) was built between 1894-96 in the main Car Workshops of the Nikolaevsky Railway Company. The train was adapted and expanded throughout his reign as the family grew and needs increased. By 1902, the train consisted of ten carriages: a sleeping-car for the Emperor and Empress, a saloon car, a kitchen, a dining car, carriages intended for the grand dukes and other family, the children’s car, cars for the Emperor’s retinue, as well as cars for railway servicemen, servants, luggage and workshops. The final and eleventh car, a fully dedicated chapel, was consecrated in 1899. 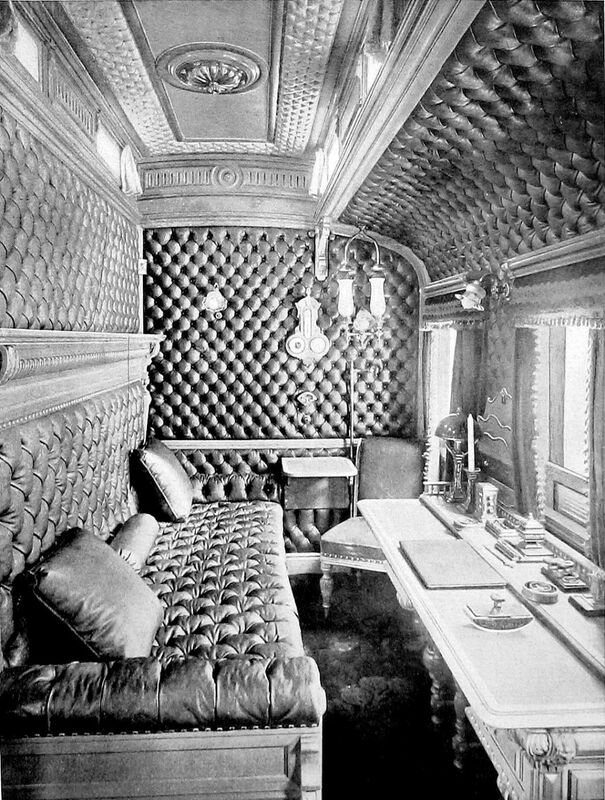 In fact, trains intended as palaces on wheels. 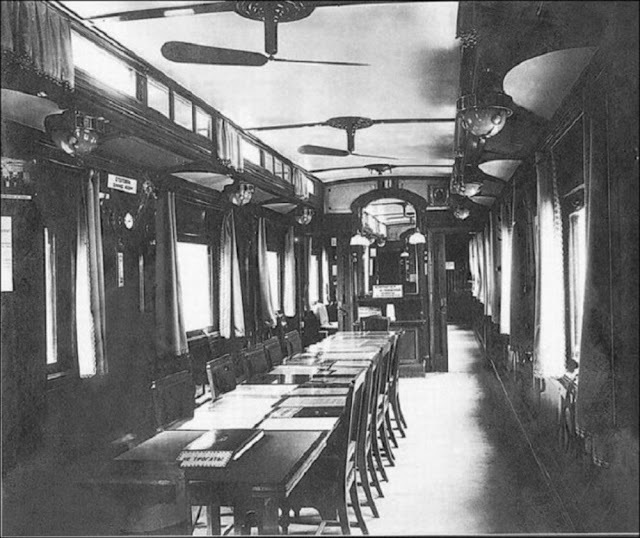 They, along with the luxury and amenities for travelers provided a smooth ride and a proper level of security. 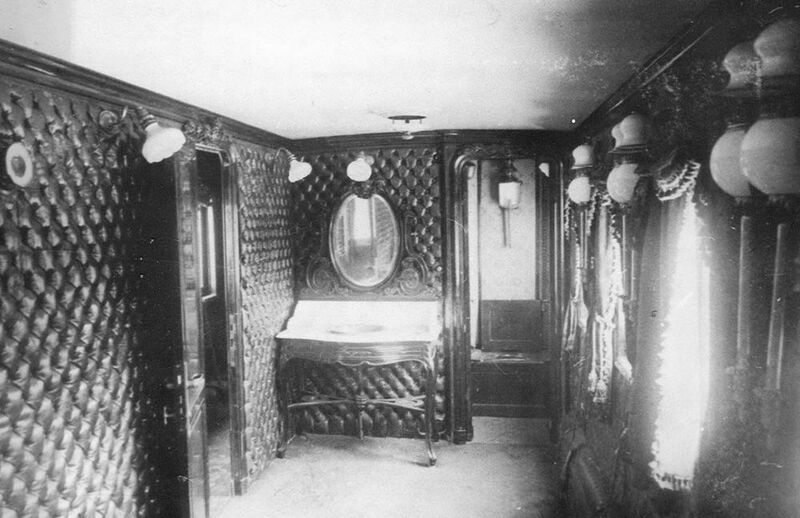 Meanwhile, to determine the number of people accompanying the Emperor in his trips abroad, security compiled a list of passengers. 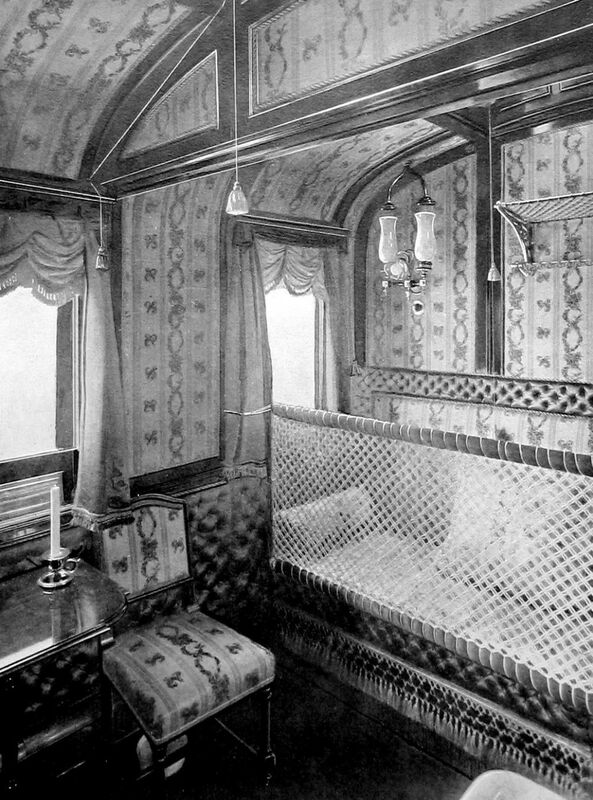 As a result, the composition of the royal train included 11-12 cars, weighing about 400 tons. 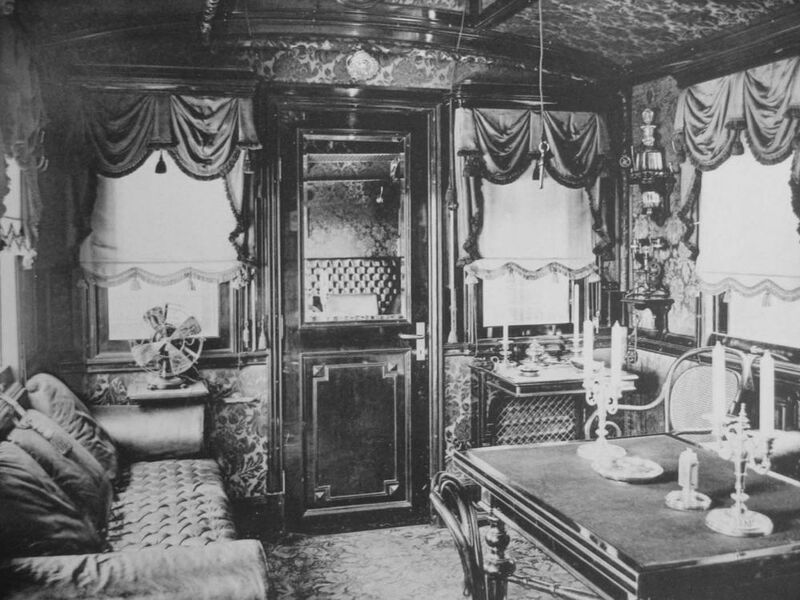 As for Nicholas II, until 1905 he used trains, built on the orders of his father – Alexander III. 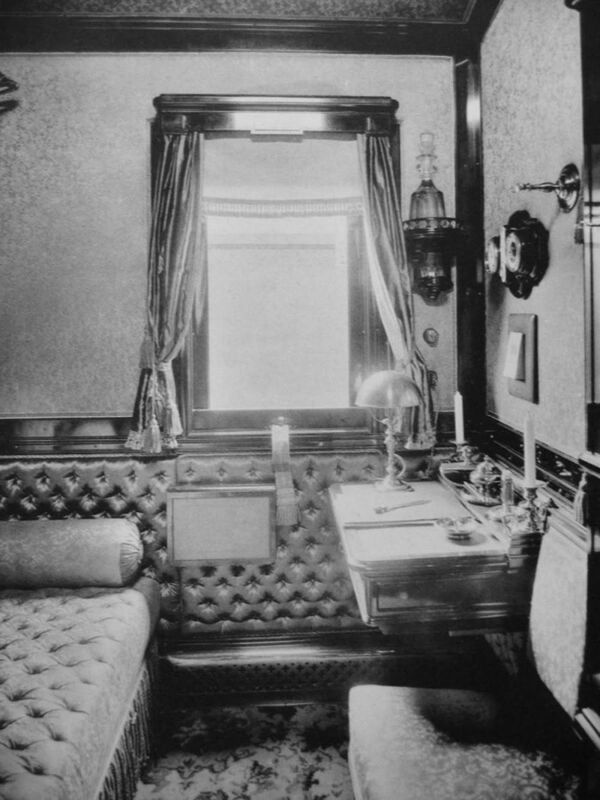 But as Nicholas II often traveled around the country, then gradually each rail formed his royal train. 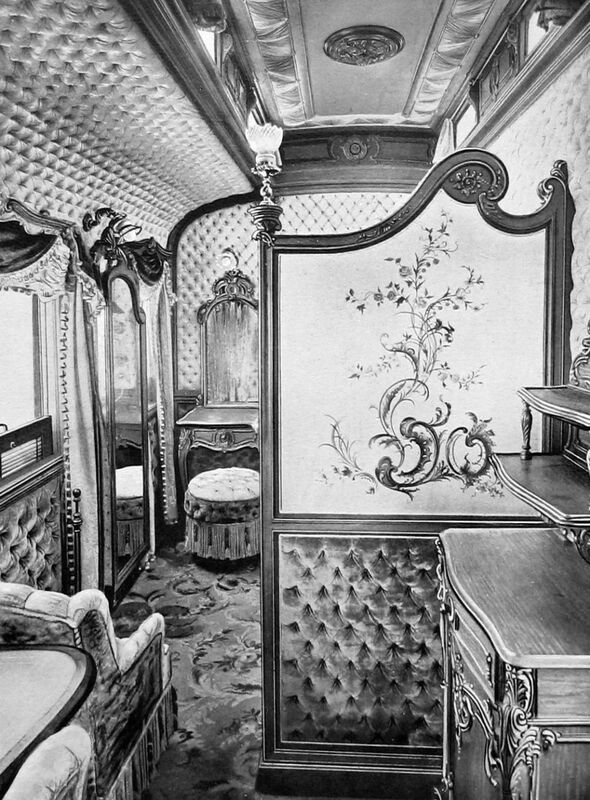 By 1903, the park of the imperial train had five compositions. First, for Dowager Empress Maria Feodorovna with cars on four-carts. 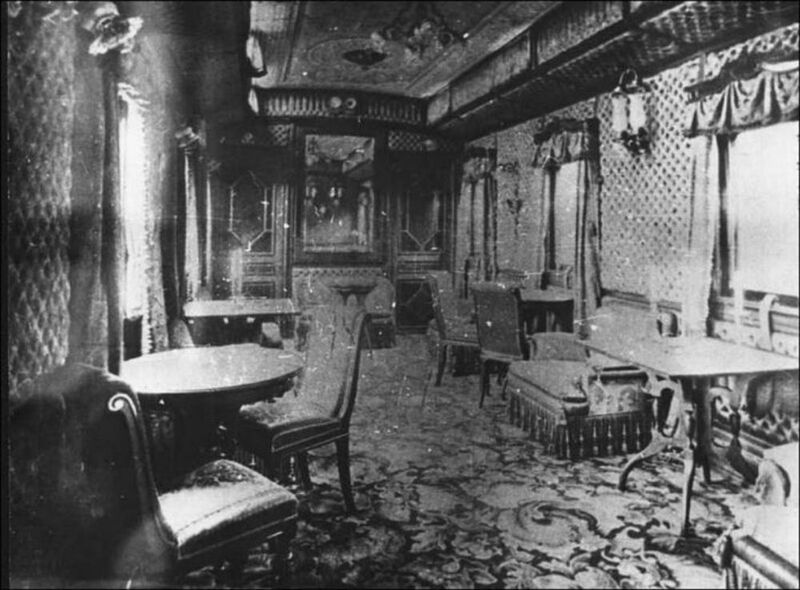 The composition included 10 cars. Second, “His Imperial Majesty” for long-distance travel in Russia, commissioned in 1897, at the four-carts. 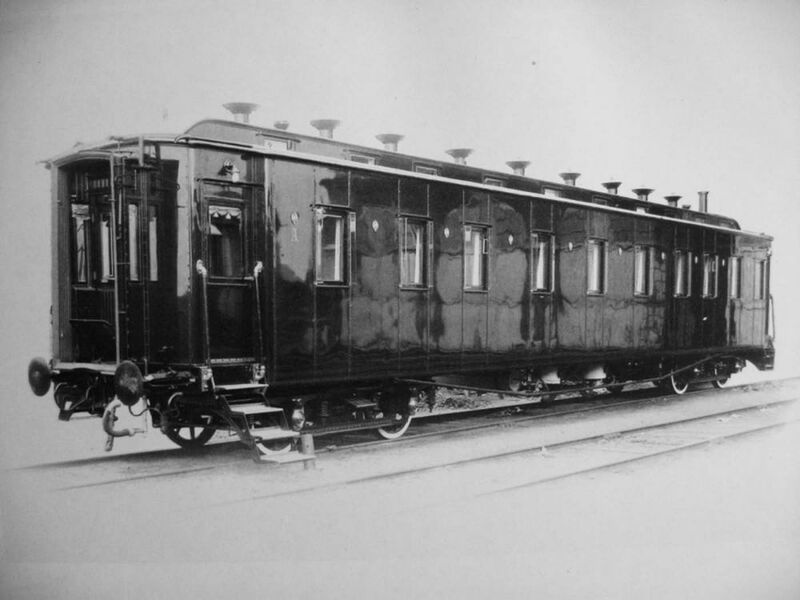 Third, the Imperial train “for foreign track”, which appeared in 1894, consisted of 11 cars on the four-carts. 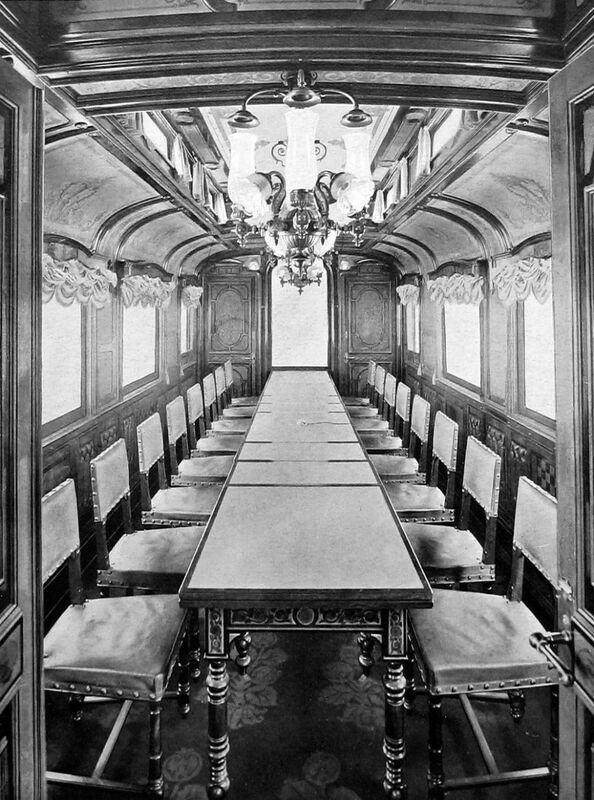 Fourth, the “Imperial shuttle train” with the three-axle wagons to travel in the vicinity of St. Petersburg, which included 13 cars. 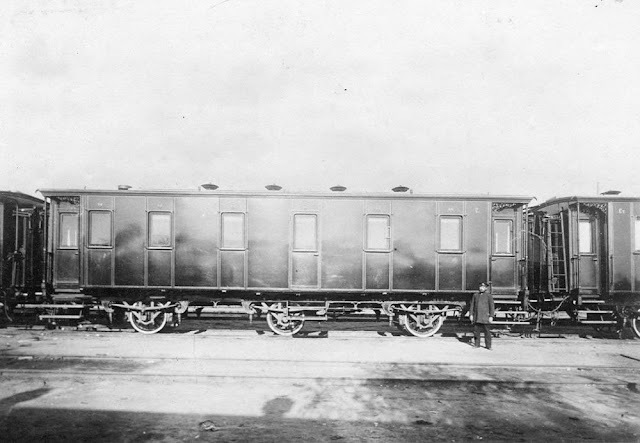 Fifth, the Imperial train of Kursk railway for “foreign and local nobility” of the 16 three-axle wagons. 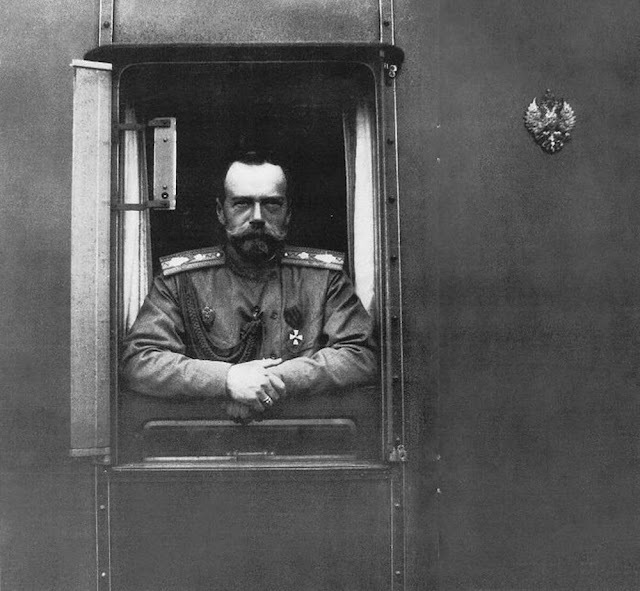 Most often Nicholas II used the Imperial train during the First World War. 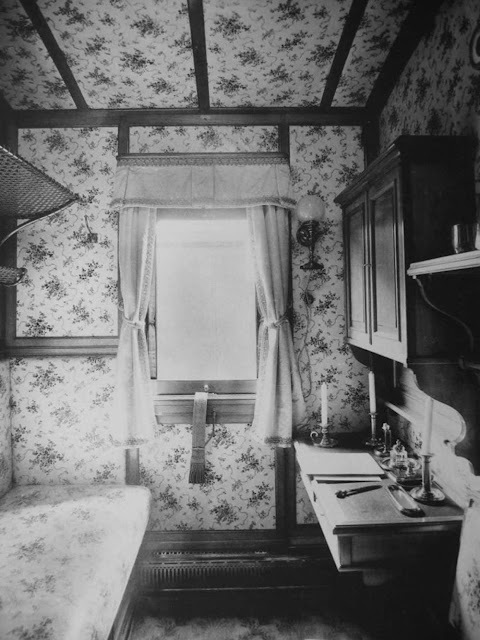 The Imperial train was small. The bedroom and the office of the Emperor were side by side, on the one hand – the suite, on the other – the car-dining room. 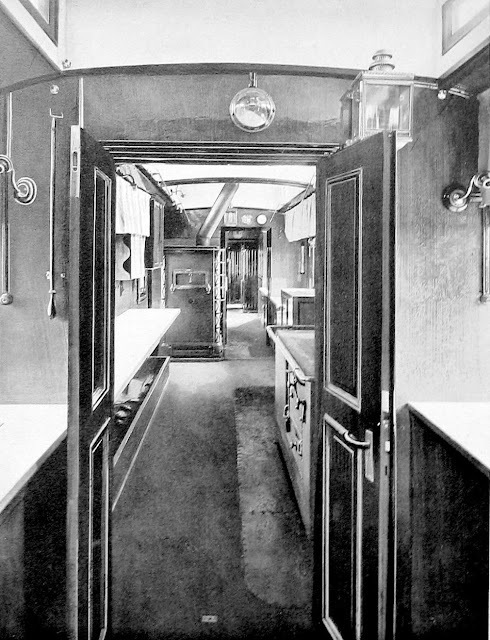 Then came the kitchen with pantry, the car with the military camp office and the last car, which housed railroad engineer and head of the road on which the train followed. Coming to the front headquarters, the Emperor stayed in his train. 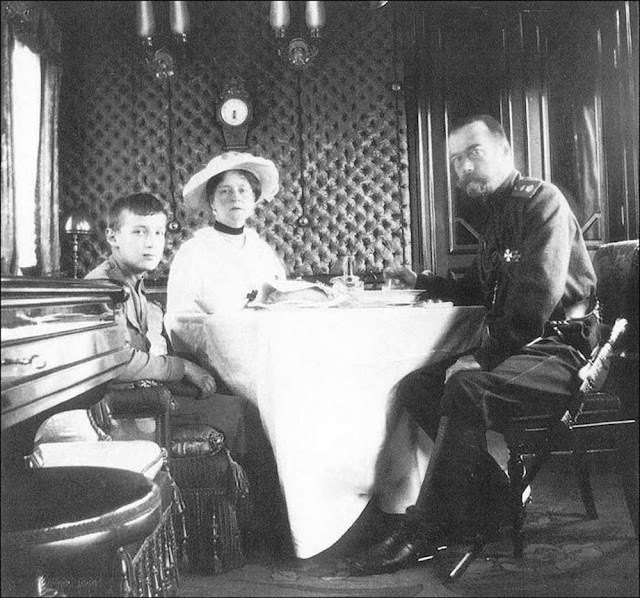 When in the summer of 1915, Nicholas II was assumed the duties of the Supreme Commander, and most of the time he began to spend in Mogilev, then there he was often visited by the Empress and daughters. 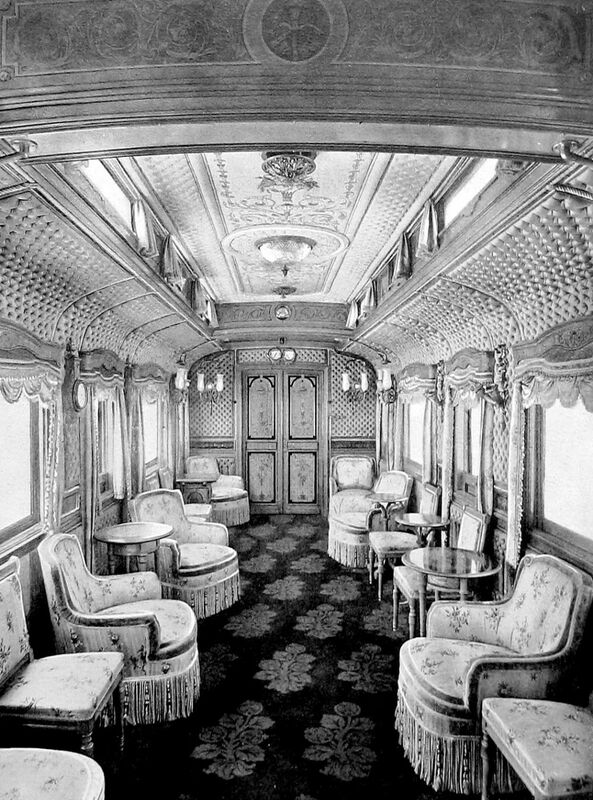 In fact, in the years 1915-1917 the imperial train was one of the permanent residence of the last Russian emperor. 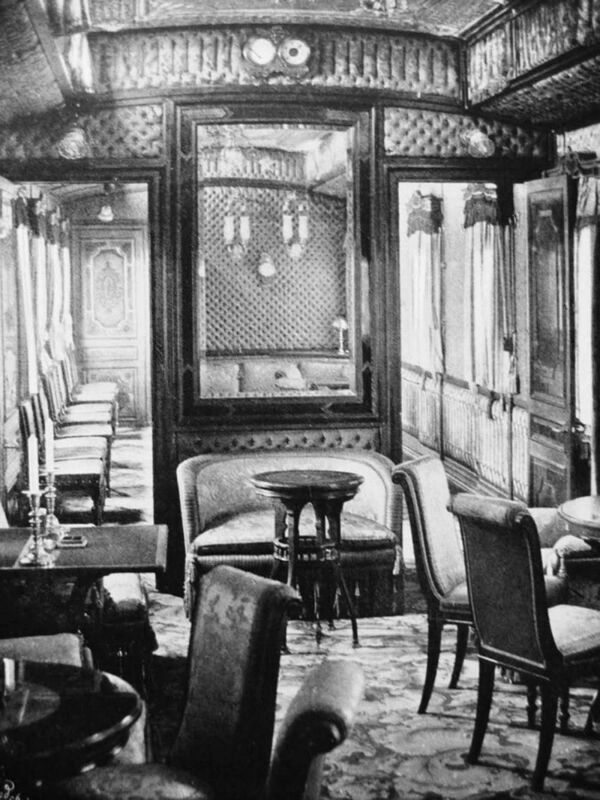 The train and the car was part of area in which the March 2, 1917 Nicholas II signed his abdication. The fate of all the royal luxury cars was sad. 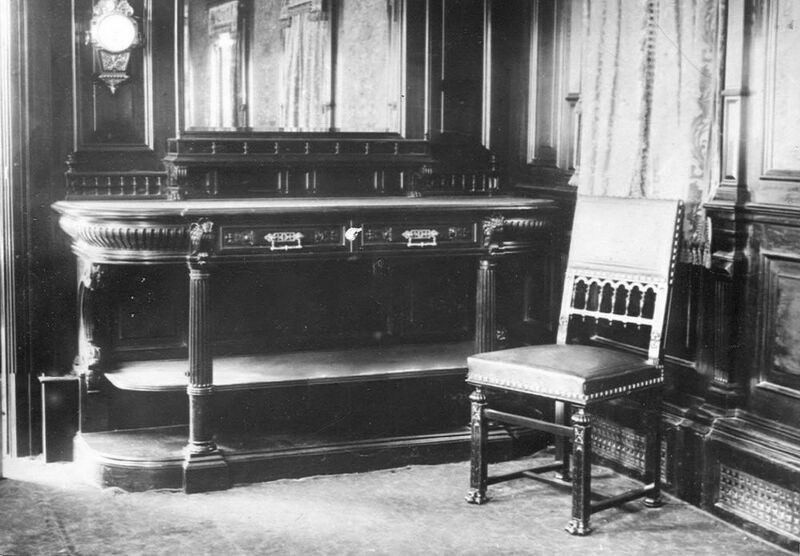 Most of them were lost in the fire of the Civil War. The surviving cars were destroyed in 1941, and today in Russia there is no any of the original imperial train. 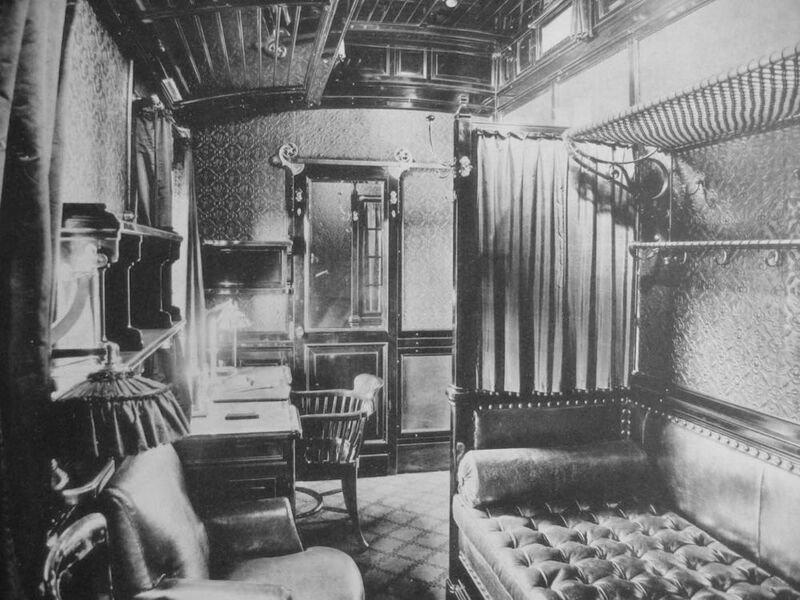 Interior view of one of the carriages. The walls and furnishings were upholstered, mainly in English cretonne with plant ornaments. 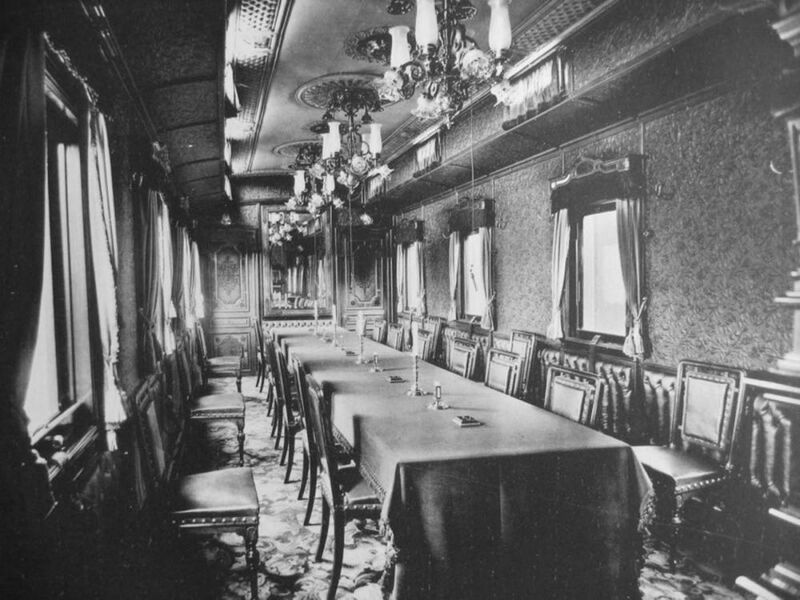 Part of the dining room on the train. Ladies suite, maybe for the princesses. 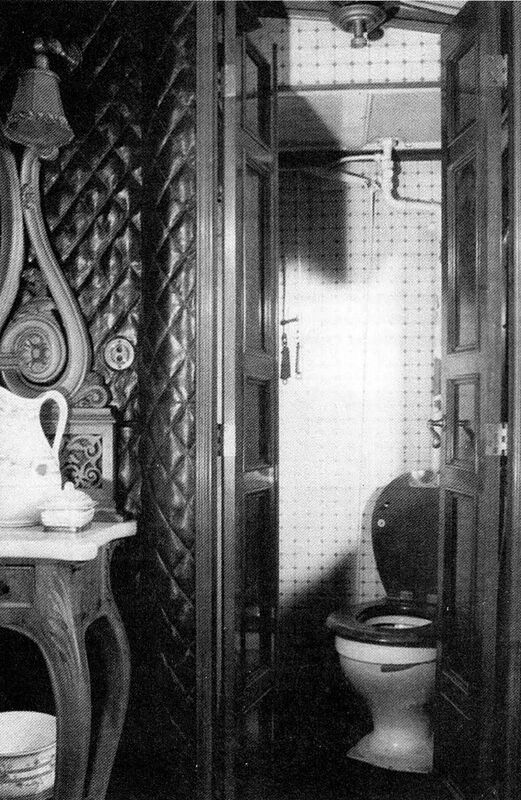 The panels, ceilings and furniture, made of polished oak, walnut, white and gray beech, maple and Karelian birch, were covered with linoleum and carpets. The saloon had soft mahogany furniture in the Art Nouveau style. 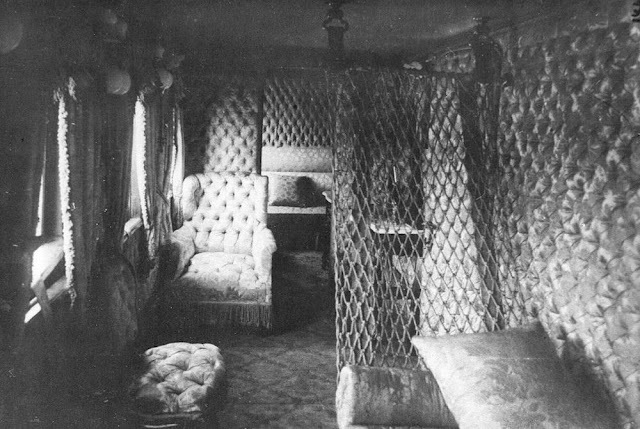 The walls, sofas, armchairs and chairs were lined in striped pistachio curtains; a plush carpet on the floor had a checked design. The dining-car on the Imperial train. 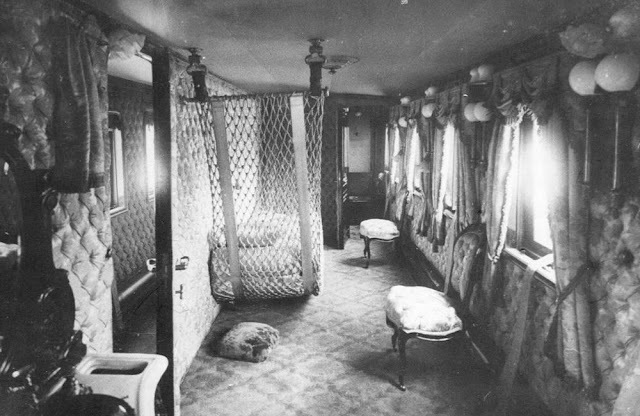 Inside the Romanov family train. 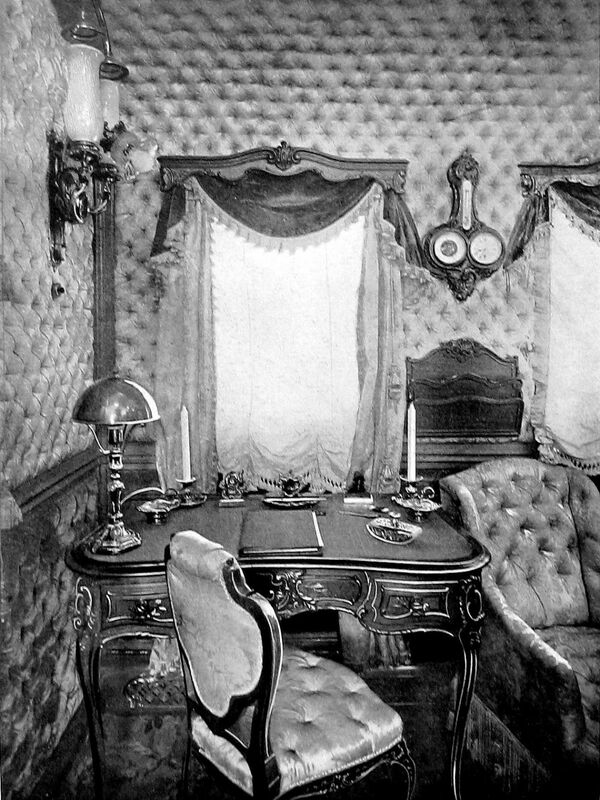 Office for the maid of honor. 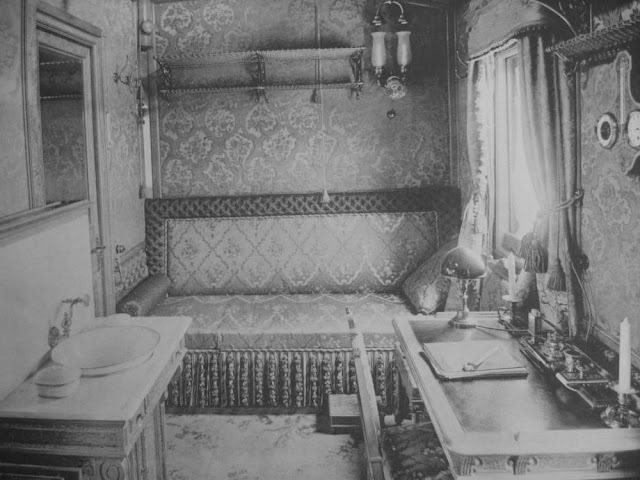 The compartment of Nicholas II. 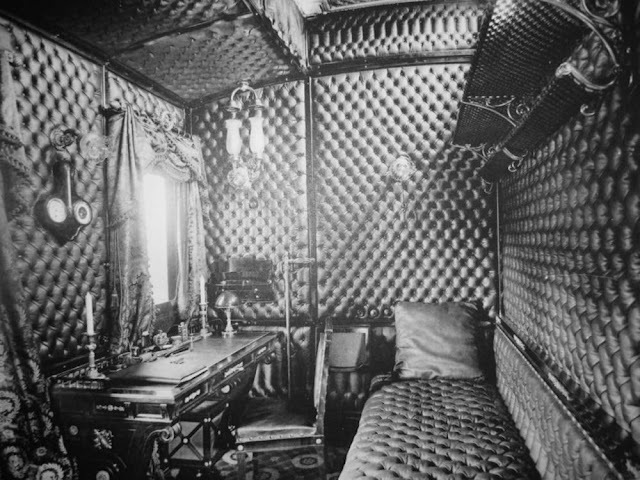 The cars painted in dark blue and decorated with gilding looked beautiful. Detail of interior of the Imperial train. 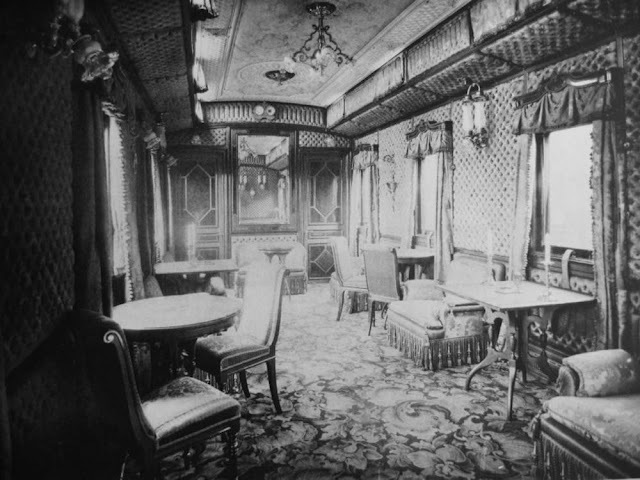 A dining room in the restaurant car. 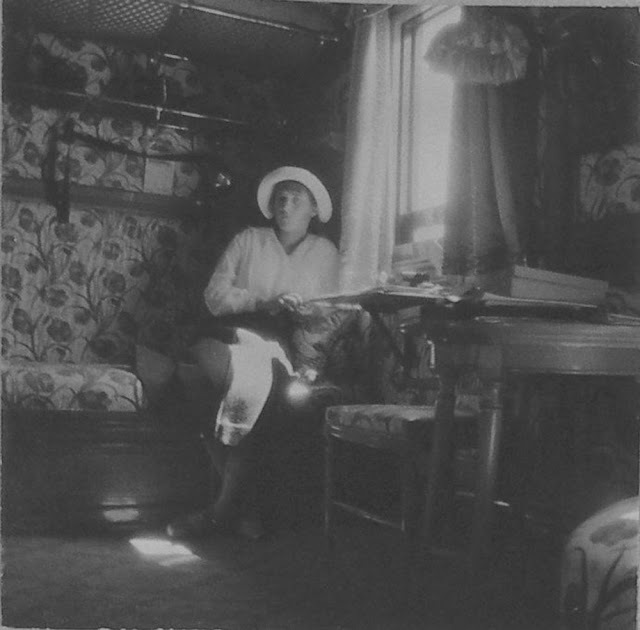 Grand Duchess Anastasia inside the Imperial train in 1916. Empress Alexandra, Tsar Nicholas II and Tsarevich Alexei on the train. Tsar Nicholas II looking out of the window of the Imperial train. 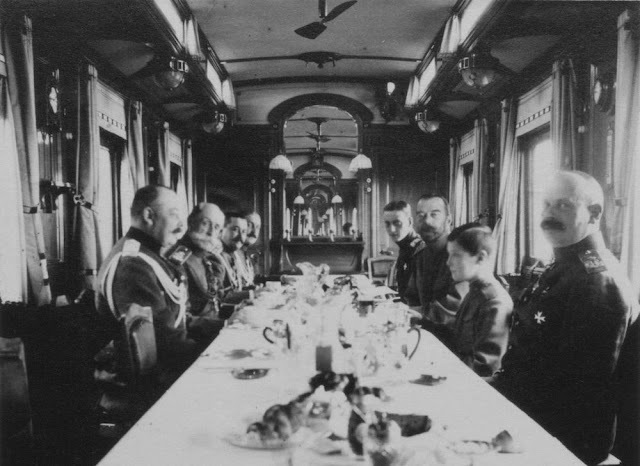 Tsar Nicholas II hosting a dinner with his generals on the Imperial train. 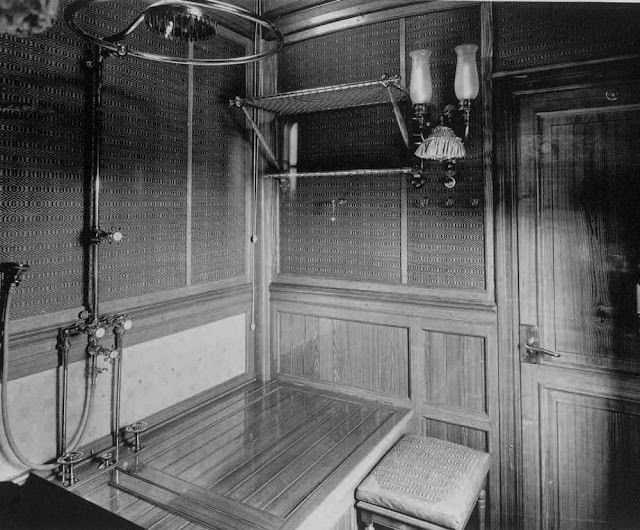 The train was built between 1894-96 in the main Car Workshops of the Nikolaevsky Railway Company. The train on Russian railway.